Team Up with Elmer's to Help Kids In Need! 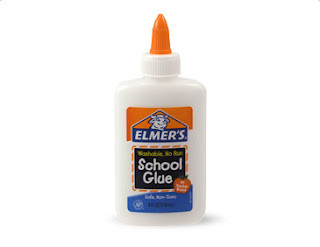 From July 25 through Sept. 1, for each “like” on the Elmer’s Facebook page, the company will donate a product to the Foundation’s national network of free stores, where teachers from disadvantaged schools can “shop” for free for school supplies (up to 200,000 products for this campaign). Products to be donated include a variety of glues, foam board, project supplies and pencil sharpeners. If you already like the page, we’ll make a contribution on your behalf, but you can donate again by watching a video on the Elmer’s Kids In Need Facebook tab and sharing it with your friends and family. You're already on Facebook, right? Why not take a moment to click or view, and you will be giving needy school districts the supplies they need to ensure kids are learning what they need to this year!